A Happy Wife, Is a Happy Life. Create a Winter Wonderland in Your Front Yard This Season. Decorating Homes, Businesses, and Organizations. Do You Want a Beautiful Home This Holiday Season? Don't Get Frustrated, Get Greenleaf! Giving Back to School, While Providing Great Services. Just Relax, Take the Day off! Lawn Care Needs, Serviced Here. Looking For the Best in Tulsa Holiday Lights? Looking for the Top Holiday Light Installers? Outdoor Decoration Can Be Time-Consuming and Stressful. Relax, Take a Load off. Saving Money in so Many Different Ways. The Eighth Wonder of the World. The Magic of the Holidays is Upon Us! The Tulsa Lawn Care Answer. Three Decades of Exceeding Expectations. Warning, Your Neighbors May Become Jealous. What Chores? They Are Done. I am sure you are wondering why I am going to be talking about Christmas in July, with a lawn service article, but just hear me out. This article is going to be about the amazing, Green Leaf Lawn Service, that has been in business for many many years. In fact over 30 years. 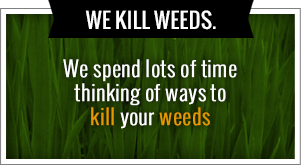 They can do it all, they can help your lawn look incredible, but they can also do something else. They can provide you with amazing Tulsa Christmas lights, they can remove, install it, time it, they can do it all. Whatever service you are needing, let Green Leaf provide it for you. Call them at 918-640-6405. So that is why we are going to be talking about Christmas, in July. The reason why, is because Green Leaf in the experts can provide you with such incredible services, one of which is Tulsa Christmas lights. Maybe you are not thinking about Christmas, but I telling you that it is rapidly approaching and you might as well think about it. Instead of having to do with all the hassle of going and buying Christmas lights, untangling them, making sure the all of the bulbs work, hanging them all up, and making sure it was almost care, why not use the experts there professionals at it? Why not use the experts, that are going to provide you with amazing Tulsa Christmas lights, and they can even remove them for you as well. Every time you get some of these Christmas lines, removal and installation from Green Leaf Lawn Service and the experts, they are actually going to be able to provide you with a free timers and extension cords. So that is something that not everyone else does. Also, Green Leaf make sure that they have the best prices in town, and they even have some of the fastest turnaround time as well. So that way you can know that if you are needing some Christmas lights, they can put them up before you even know that they are there, and they will take them down, quickly as well. Let me ask you something, how long did your Christmas lights stay up, last year? How long were they just sitting there, staying up, because I bet it was a very long time. Most people let weeks, if not months go by without taking their Christmas lights them. Simply call the experts, that can and will provide you with expert installation, and expert removal? Also something that you should jot down, and make a note of, is that Green Leaf Lawn Service actually provides snow removal as well. So that way, when the snow starts dropping in, call them. They can provide you with snow removal, for 24 hours a day, seven days a week. 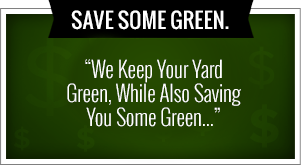 So grab your phone, so you can call the experts at Green Leaf Lawn Service. They are going to provide you with great Christmas lights, you are going to love, and your love the fact that there is no headache in installing them, or remove and. Call 918-640-6405 so you can get all of these great services. Call them for the Christmas lights, call them for complete lawn maintenance, just call them today. Green Leaf Lawn Service can provide you with any and all types of services that you would possibly want, for your lawn. They can do full lawn maintenance, they can even do snow removal for the winter, they can provide you with some amazing Tulsa Christmas lights, they can install them and remove them for you, like you said they can do it all. They can do sod installation, they can even plant and or remove small trees and shrubs. Call Green Leaf Lawn Service today, at 918-640-6405, so they can start providing you with all of these great types of services. One of the main things that I am going to focus on, during this article is their amazing Tulsa Christmas lights services, that they can provide you with. Think of how busy the Christmas time is, you are constantly going in and out, going to different shopping places, parents or relatives, all of those types of things. The very last thing that you want to deal with, and the very last thing that you should have to deal with, is installing your Christmas life! Instead of just trying to untangle them, spending hours and hours, and countless headaches, why not call the experts that can provide it for you, quickly? Green Leaf Lawn Service has been able to provide people with some incredible Tulsa Christmas lights, for years and years. They have been able to provide so many different people, all throughout the great city of Tulsa with amazing Christmas lights. Make your neighbor jealous, that’s how amazing these Christmas lights on. These Tulsa Christmas lights, are so incredible you are going to just want to go outside all of the time to just stare at them. And, you don’t have to be the one to unroll them, to test every single lightbulb, and to remove them. So that right there, is worth calling Green Leaf Lawn Service today. Christmas is a super busy time, but you don’t have to have your list, your to do list, packed full. Take one major thing off, by simply calling one phone number. These experts that are going to provide you with amazing services, and when you use their Christmas lights services, they are actually going to provide you with free extension cords and timers as well. So that way you can have a great Christmas light show, that you will absolutely love. So what are you waiting for? These are the experts that have been around, for over 30 years. Give them a call! If you want to give these experts, these Christmas lights experts a call, or you just need some lawn service, that is amazing as well, the call Green Leaf Lawn Service today. The phone number to call these experts, is 918-640-6405. You can call, see you can keep your stress to a minimum during the Christmas time, and you have a great looking yard all of the same time. Call, today for a free estimate!